was the initiator of the unification of Japan under the shogunate in the late 16th century, which ruled Japan until the Meiji Restoration in 1868. 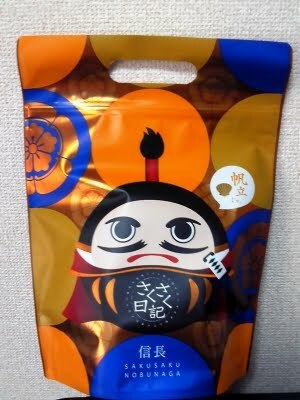 He was also a major daimyo during the Sengoku period of Japanese history. His work was continued, completed and finalized by his successors Toyotomi Hideyoshi and Tokugawa Ieyasu. He was the second son of Oda Nobuhide, a deputy shugo (military governor) with land holdings in Owari Province. Nobunaga lived a life of continuous military conquest, eventually conquering a third of Japan before his death in 1582. His successor, Toyotomi Hideyoshi, a loyal Oda supporter, would become the first man to unify all of Japan, and was thus the first ruler of all Japan since the Ōnin War.
. Toyotomi Hideyoshi 豊臣秀吉 .
. hototogisu ホトトギス, 時鳥 .
. Big Number Six Heavenly Deity . Oda Nobunaga took on this name for himself. Tsurugi Jinja 劔神社 "Sword Shrine"
. Kehi Jinguu　気比神宮 Shrine Kehi Jingu . 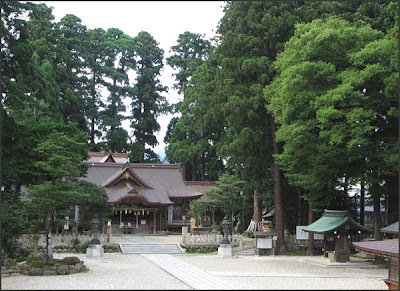 This shrine was the family sanctuary of Oda Nobunaga, who was born in the village. Specifically Oda Nobunaga claimed to be descended from "Oda" Chikazane 親真. Chikazane is said to be the son of Taira Sukemori, 平資盛 (1161-1185), who was the second son of Taira Shigemori (1137?-1179)平重盛, who was the first son and heir of the very famous Taira Kiyomori 平清盛 (1118-1181). ... according to this version of the family history, Chikazane next found himself at the Tsuta Estate in Omi (modern-day Shiga Prefecture). There he was taken care of by a major local family. Later he was adopted by a Shinto Priest of the Tsurugi Shrine located on the Ota Estate in Echizen, modern Fukui Prefecture. Incidentally the Tsurugi Shrine still exits today. In 1233, Chikazane set down his roots and changed his family name to his new home, "Ota". 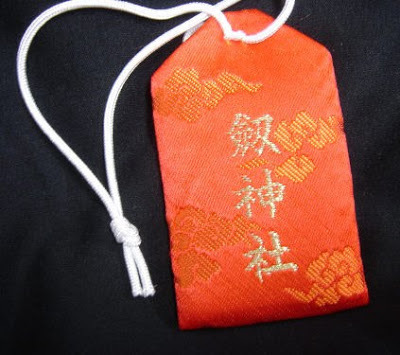 The pronunciation of the family name changed at some point to "Oda", although the same kanji characters continue to be used to write the name. Later he became a priest himself and took on the monk's name Kakusei 覚盛. Chikazane died on March 18, 1260. Assuming he was 10 years old at the time of the Battle of Dan-no-Ura, he must have been something like 85 years old at the time of his death. 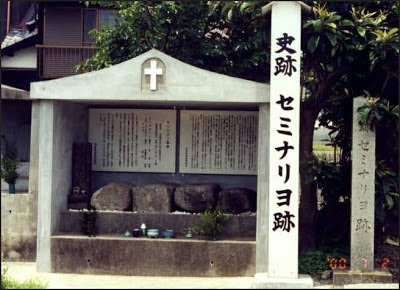 Nobunaga later continued to point to the Tsurugi Shrine as the shrine of his ancestors. 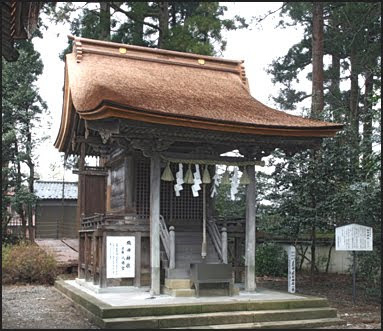 Another possibility is that a Shinto priest of the Tsurugi Shrine took on the name Ota/Oda. In this theory, the mother is a Taira, but the father was of the Inbe 伊部 clan, who were Shinto priests based at the Tsurugi shrine. Their son - our friend Chikazane - took the name Ota from the temple.
. Shibata Katsuie, Katsu-ie 柴田勝家 . 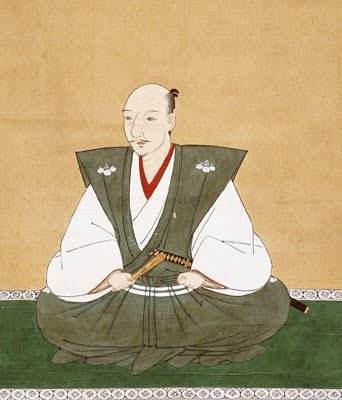 (1522 – June 14, 1583) or Gonroku (権六) was a Japanese military commander during the Sengoku Period who served Oda Nobunaga.
. Akechi Mitsuhide 明智光秀 .
. aka konnyaku 赤こんにゃくred konnyaku .
. Uesugi Kenshin Kagetora 上杉謙信(景虎) .
. The ninja in Iga 伊賀忍者 . 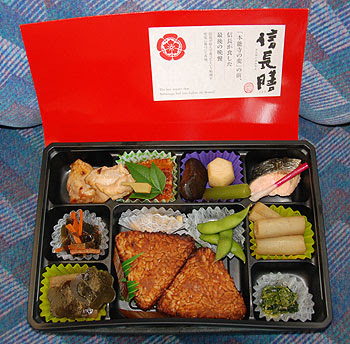 This is a famous story about a KATSU that even shocked the great warlord Oda Nobunaga.
. The Koan Katsu　勝 .
Nobunaga became the patron of the Jesuit missionaries in Japan and supported the establishment of the first Christian church in Kyoto in 1576, although he remained an adamant atheist and never converted to Christianity.